Erica has focused her practice primarily on family law since the fall of 2016. She has represented clients on a wide range of family law issues in King, Pierce, Snohomish, Kitsap, and Whatcom counties. Erica also volunteers with the Housing Justice Project and represents a limited number of private practice clients in landlord-tenant matters. Erica is passionate about working with and advocating directly for clients. She focuses on attaining a deep understanding of each client’s story and interests, and on presenting those interests as persuasively as possible to the court and other parties. Whenever possible, she seeks to find common ground and lower-cost ways of resolving conflicts. When these approaches are not possible, Erica is a fierce and effective advocate for her client’s interests in court. Erica was born and raised in the beautiful Pacific Northwest. She earned a B.A. in Law and Society, and a Minor in Politics, from Oberlin College in Ohio (where they definitely have all four seasons, every year, mostly in order). She spent the following year teaching English in China, traveling, and doing her best to learn Chinese (Mandarin/普通话). Erica continued her education at the University of Michigan, where she earned a dual degree (J.D./M.A) in law and Chinese Studies. While in law school, Erica gained practical experience representing clients through UMich programs at the Child Advocacy Clinic, the Human Trafficking Clinic, and the Mediation Clinic. 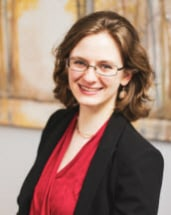 Erica began her career as a litigator in immigration law, working with Northwest Immigrant Rights Project (NWIRP) to help detained clients at the Northwest Detention Center in Tacoma with applications for T-Visas (for survivors of human trafficking), U-Visas (for survivors of other crimes), and cancelation of removal actions for Lawful Permanent Residents (LPRs). Erica then moved into family law, representing clients dealing with domestic violence issues and complicated divisions of assets. Erica paused her direct representation of clients to accept a clerkship with the Anchorage State District Court, where she supported several different judges in researching issues and drafting orders. While in Anchorage, Erica also ran the Small Claims Mediation Program, successfully mediating many cases personally, and organizing and training other mediators. After Anchorage, Erica moved to Fairbanks – land of Moose and Northern Lights – to clerk for a superior court judge. She survived the winter, acquired a set of cross-country skis, and supported her judge by researching and drafting orders for cases ranging from domestic relations issues to complex civil litigation claims. Erica’s clerkship experiences provided her with valuable behind-the bench insight into how judges make their decisions. Erica speaks conversational French, Spanish, and Mandarin, and has communicated with clients in all three languages. Erica lives in Tacoma with her fiancée Annie, and a very affectionate cat. In her spare time, she enjoys knitting, science-fiction, exploring the great outdoors, and social dancing.